…and more ,on the Changing Face of High Point. For over 100 years High Point has been considered the Furniture Capital of the World and since 1909, yes, 1909, it has been host to the infamous High Point Furniture Market. The square footage of the Market alone is bar none to making it the largest trade show in the United States and the reputation of the show continues to stand strong as THE place to spot trends. Holding strong to it’s core values/offerings to the community of sellers/buyers that twice a year block out their calendars for “Market”, it has however had to change with the times….and it is with making these changes that High Point Market remains a vital resource it is for so many…..but perhaps with a twist if you will. You know “the same but different.” No doubt a shift is occurring before our eyes and it is an exciting and noteworthy one as a tidal wave effect of purely positive repercussions continues… one that is reflected not only the changing product offerings but also the growing trend for the Interior Design Community to contribute at a much deeper level than simply as a consumer. All of it I find it quite simply exciting. carry Chinese Antiques. 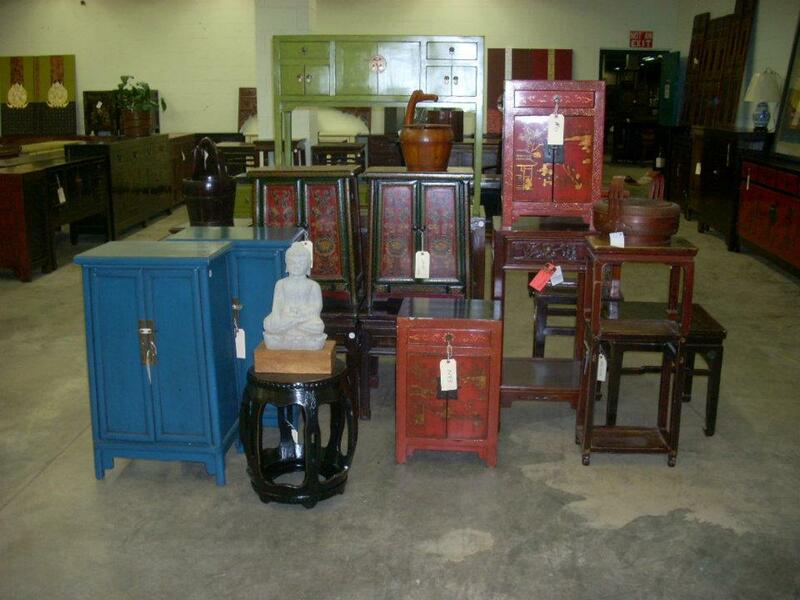 Wanted to see if it made sense for me to come here with my Chinese Antiques and also see what I had for competition. Well, apparently I found enough cause to take on my first “home” in Market Square and did so in 2004. My initiation tour 10 plus years ago had me traipsing all over the place, but Market Square felt like it was the right place to show my unique one of a kind pieces,and that is where I started my Market career as a High Point Exhibitor. Is it any surprise that what is now a well known “go to” place for designers to hit is none other than the Antique and Design Center, spearheaded by the dynamic duo of Karen Luisana, and Amanda Kinney, has found a home in the halls of the Historic Market Square, for over 70, yes, 70 vendors that come to show and sell each Market. The ambiance of the old building lends itself perfectly as home to this unique one of a kind venue in the heart of Market Square, and with ready access from the Suites. 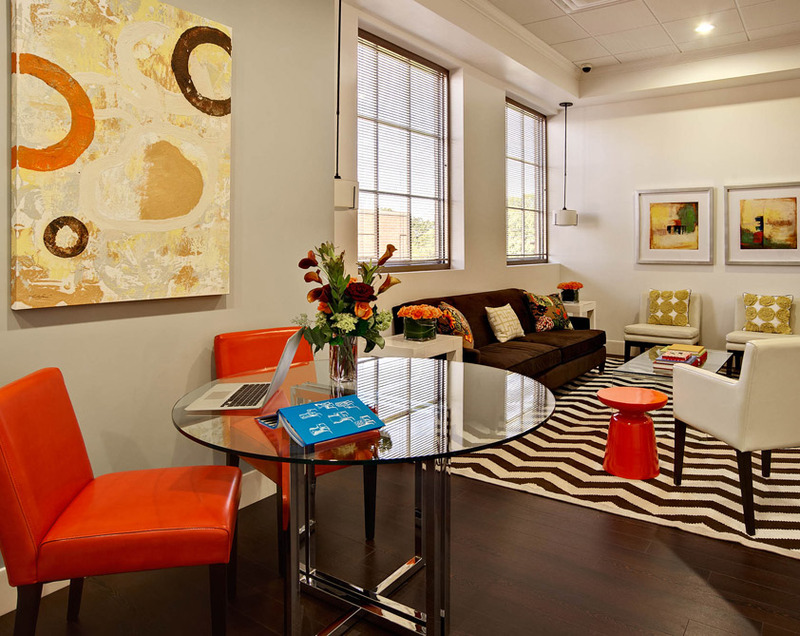 The icing on the cake is that each and every Market the team at the Antique and Design Center offer a steady diet of exceptional educational events, targeted to the Design Community. Market after Market they just keep on stepping it up on the educational offerings by hosting an endless stream of impressive and relevant seminars presented by people well renowned in their field. This year is no different and you can go here and be blown away, as I was, looking at what they have lined up for you this Market. NOT TO BE MISSED! 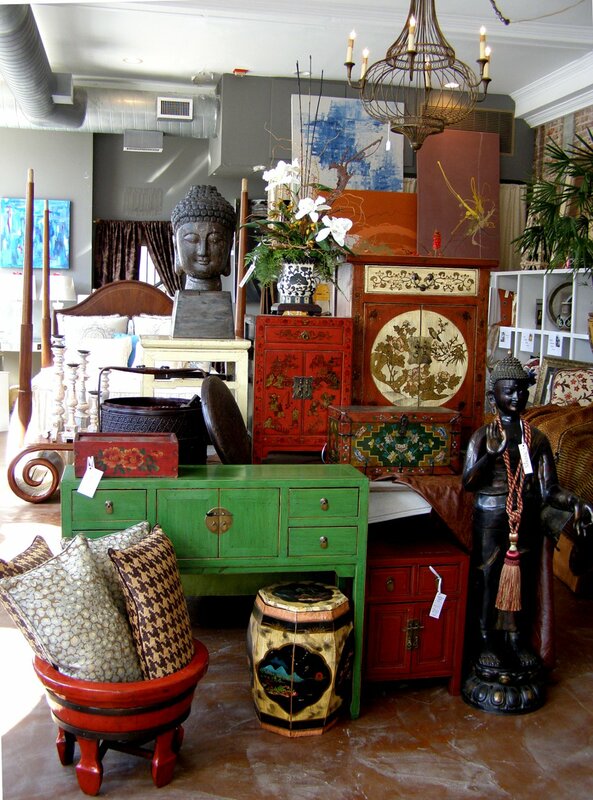 Yes, the Antique and Design Center is the true essence of the changing face of High Point. 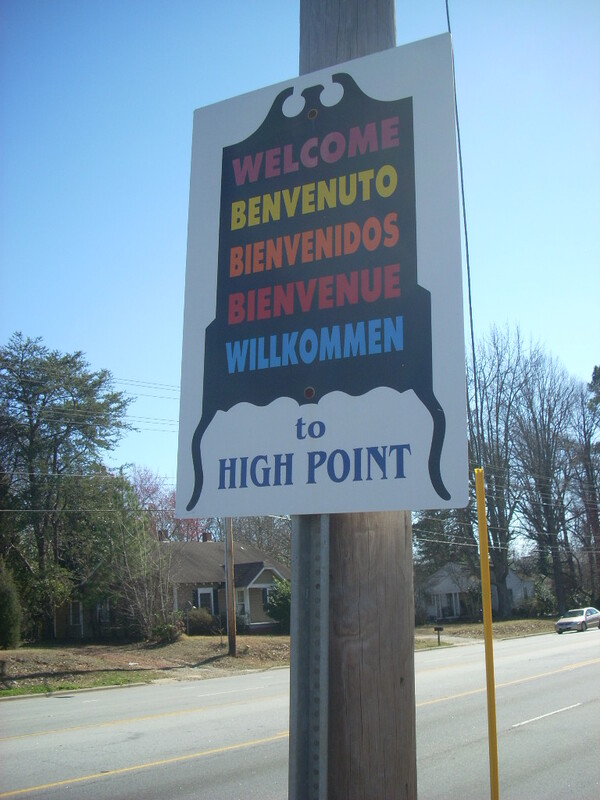 I choose to also contribute to the changing face of High Point and am excited to be part of this wave. 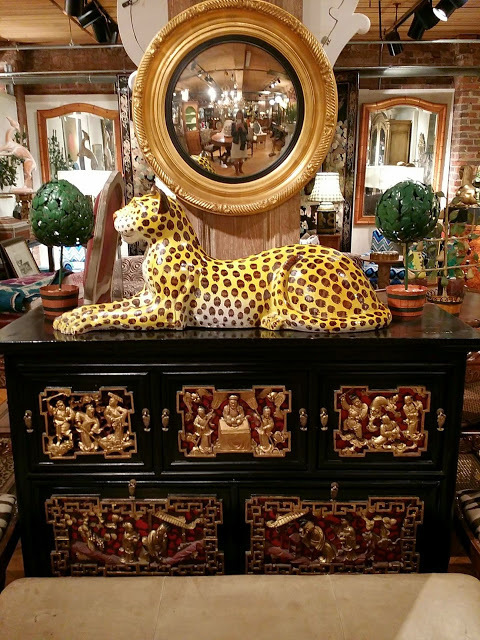 I have been in High Point for 11 years now, but 4 years, and 4 warehouse moves later, I have found my “home” in the repurposed Drexel Heritage Factory on the corner of Ward and Green…just a mile from the heart of High Point….where I show and sell my Chinese Antique furniture and accessories, also representing product from Distinctive Chesterfields and C & S Acosta….just to name a few. I am so proud to share this vision, with the Antique and Design Center, for what we can each bring to the table to be part of a vital, and yes, changing, High Point. 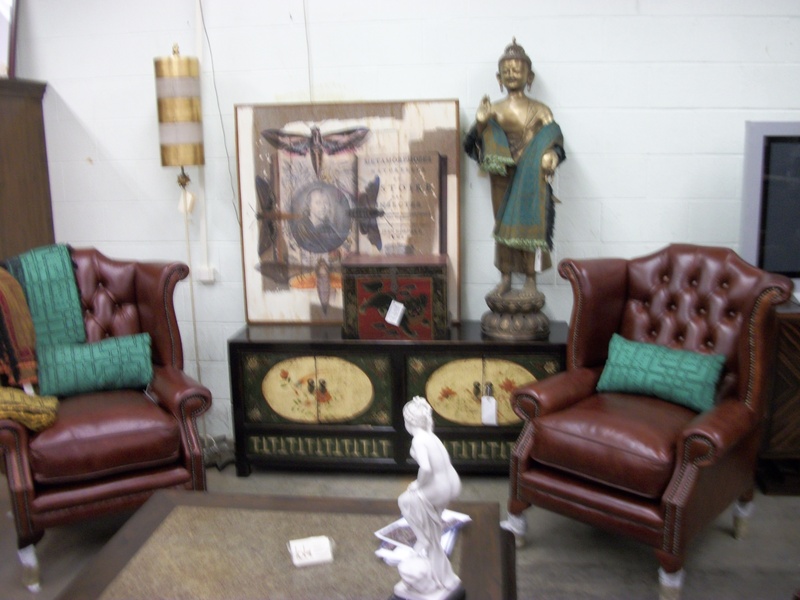 If you don’t have a visit to the Antique and Design Center or Antiques by ZAAR on your agenda, be sure to add it, and be sure to take in at least one of the many educational treats have lined up for this Market. 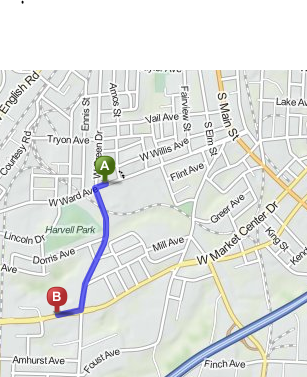 NOTE: ZAAR Design Center will host a Lunch n Learn on Sunday April 19th at 12:00. 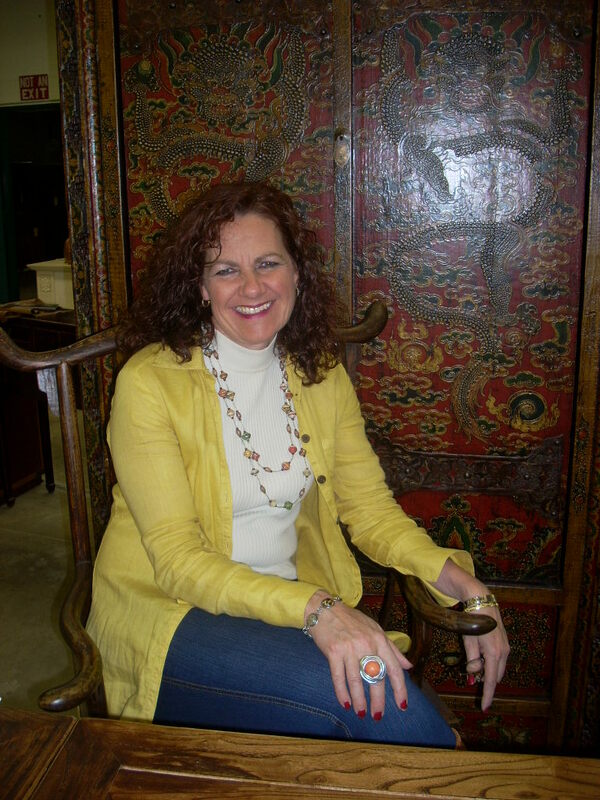 CEU accredited talk by Deb Barrett, will give you a WORLD TOUR, focusing on Smart Designs from the World’s Top Markets. RSVP Appreciated, not required. text 207 838 2675 or email ruth@antiquesbyzaar.com. 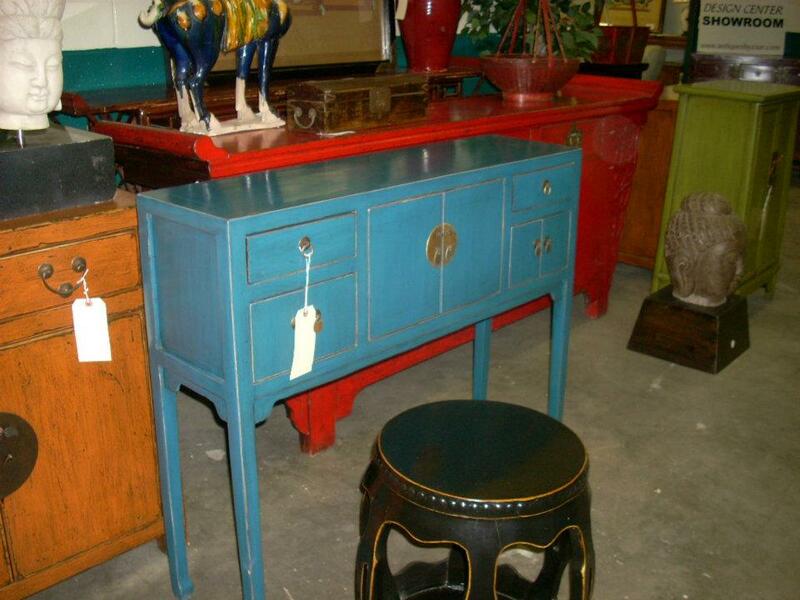 Green Art Deco Desks: A hit in High Point since 2006! 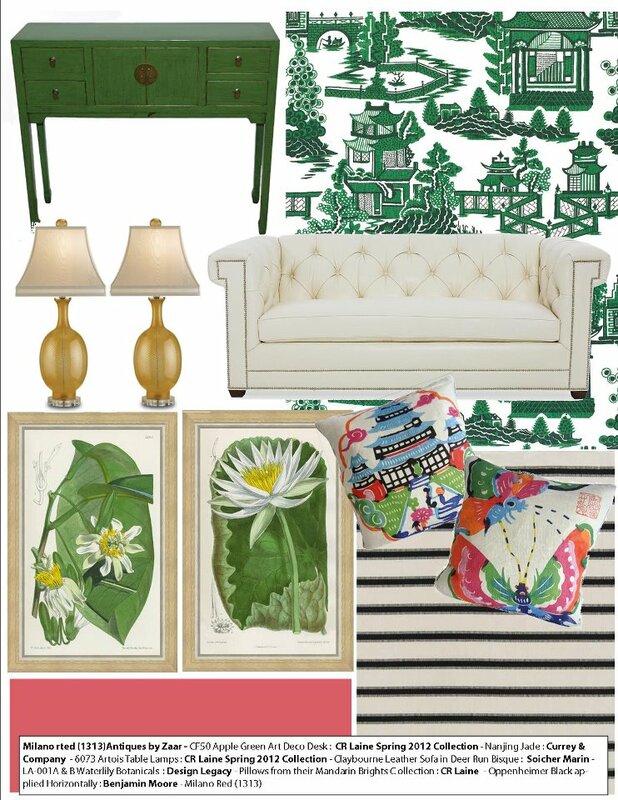 I have been struggling with how to capsulize the many wonderful things that transpired during the recent High Point Market, and have finally come to terms that it will simply have to come out in driblets as one posting simply would not suffice….and would be way too long for a single blog. 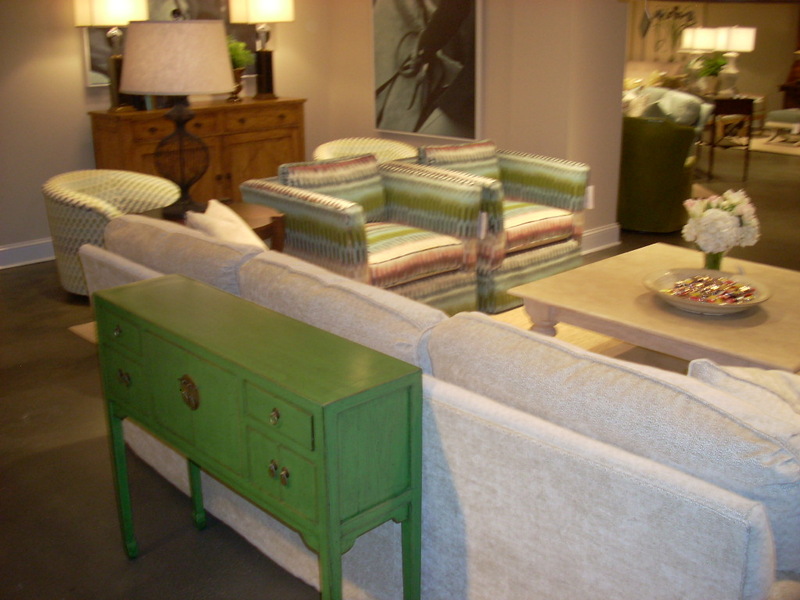 ….and similarly showcased in Shane’s Collection store at 201 N Main, also in High Point. Yes, they were everywhere! 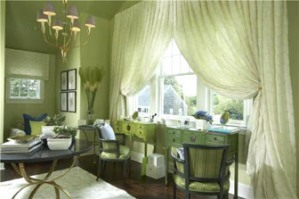 It is also popular with, ZAAR Design Center member, Designer Kat Burki, who also has a bath, body,fragrance and candle line, as she used a non matching pair so elegantly in her Southampton show house dressing room….which later were showcased in a 2010 Traditional Home article featuring Kat and her work. 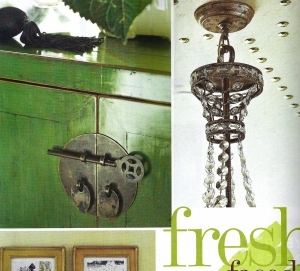 …and Antiques by Zaar customer Babette Glauner, added this pop of green when revamping her bathroom. 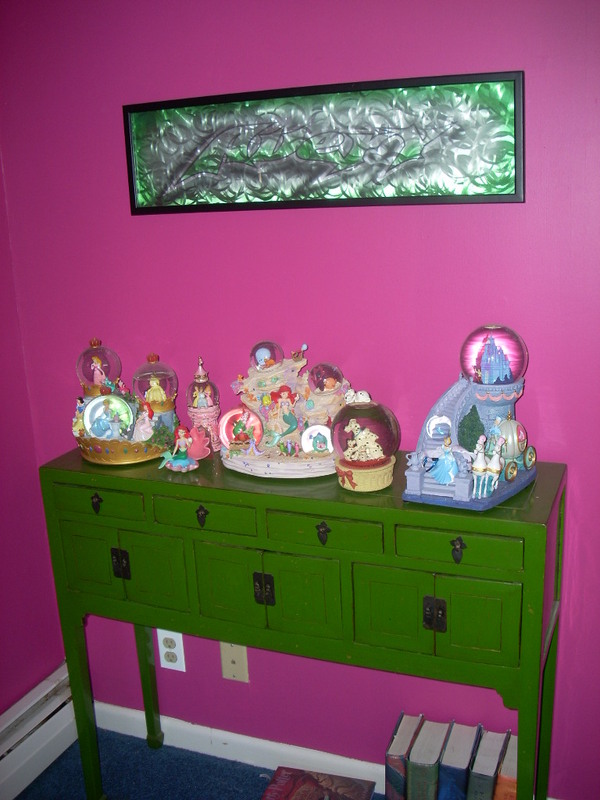 Similarly, would it be any surprise that in my own home, one of these fresh treasures can be found in my daughter’s bedroom, show casing her Disney globe collection? 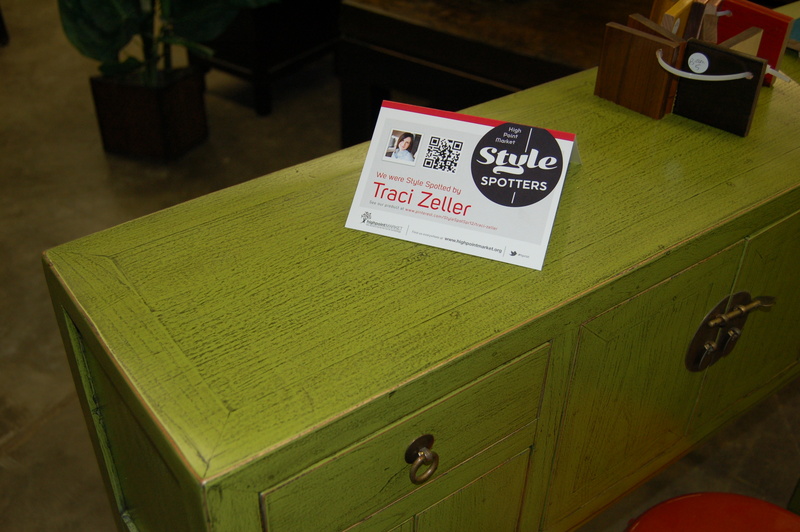 Traci Zeller, who “Style Spotted” the art deco desk, also spoke to an audience of 40 people, on Sunday, @ ZAAR…sharing her insight and expertise on what a Social Media presence can mean for your business. 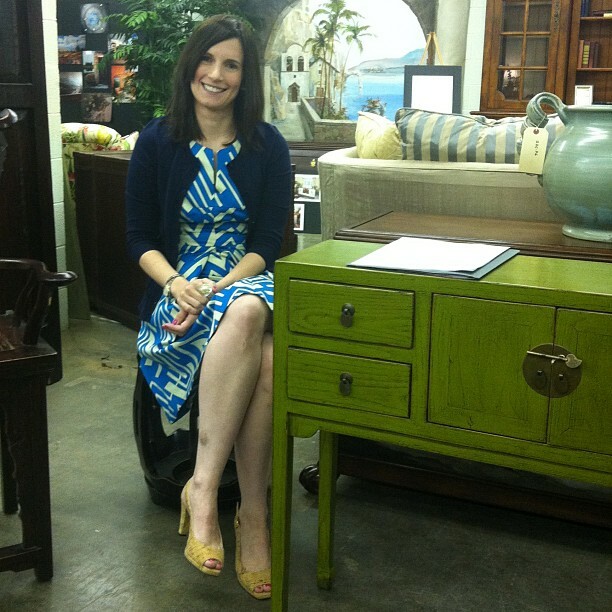 How appropriate that I gifted her one of my art deco desks, and she chose, what color, but green! Thank you Traci. And thank you to all who continue to find charm, as there is ALWAYS space (my daughter has one in her 390 square foot studio apt in Toronto!) 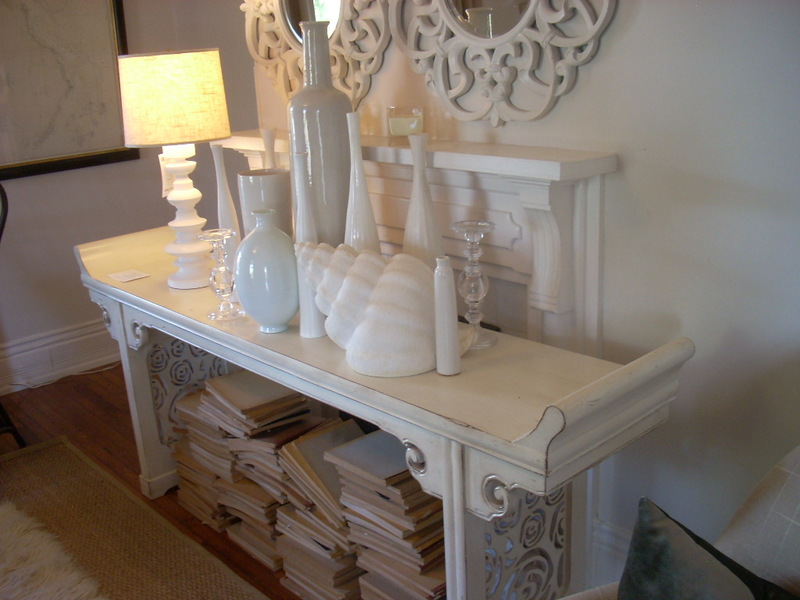 in the addition of my kang chest/converted to art deco desk…read about said transformation here. colorful and styling designer, blogger, speaker …and did I mention she is all this as the mother of twin boys, who also passionately works to help other moms of multiples? 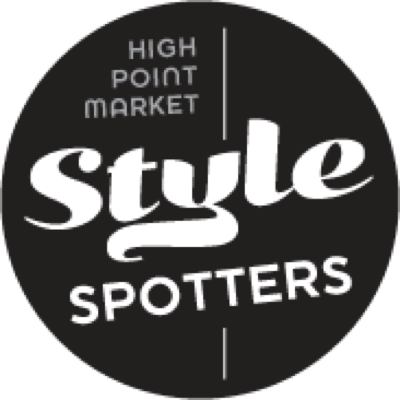 next gig: Style Spotter @ the High Point Furniture Market AND speaking @ ZAAR Design Center Sunday April 22. Join us for our first “lunch and learn” where Traci will address Social Media: Why NOT Engaging is NOT an Option. Drop me a note if you’d like to join us. 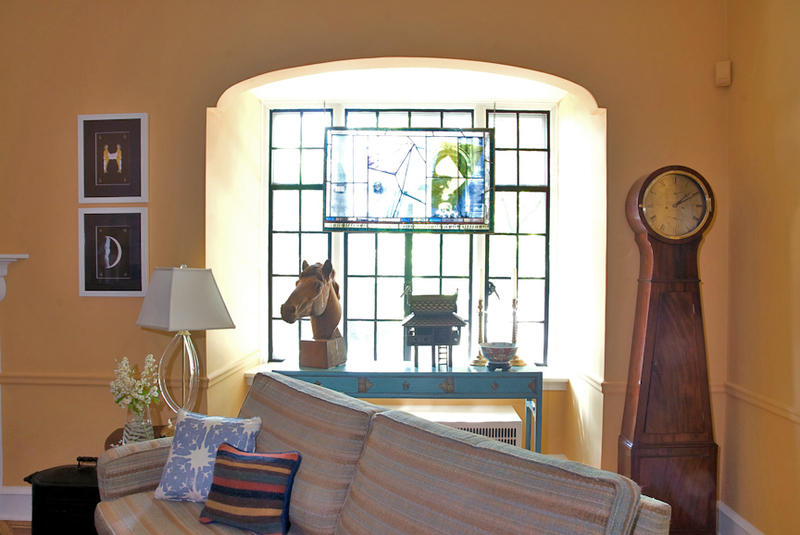 proud producers of hand-cut, hand-sewn, and hand-tailored furniture in North Carolina. …since 1958. Their News? They have moved their showroom, from IHFC, to the Hamilton Court Building, Space 201…excited for the fresh visibility and a showroom double the size of thier previous location. And???? 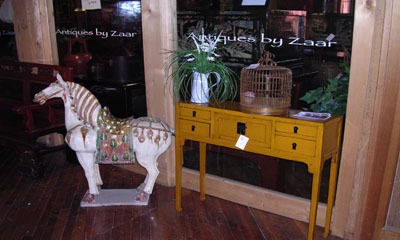 Antiques by Zaar is thrilled be adding to their colorful collection, with Soicher Marin, Currey and Co, and Design Legacy. 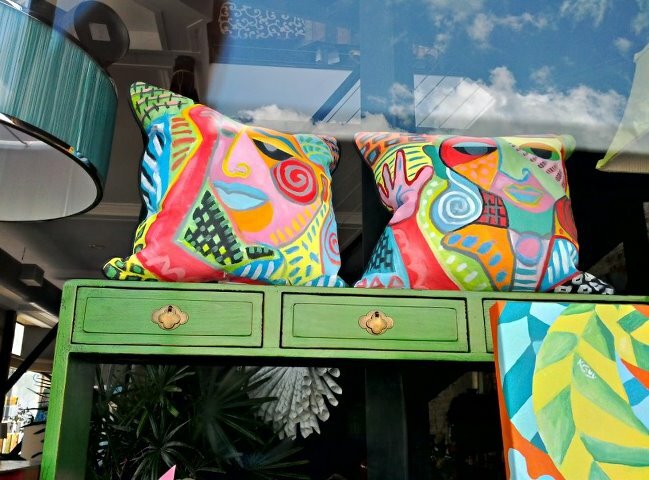 as is evident by his vibrant window display of his store stocked with colorful mix from Currey and Co, Kate Guy and Antiques by Zaar. 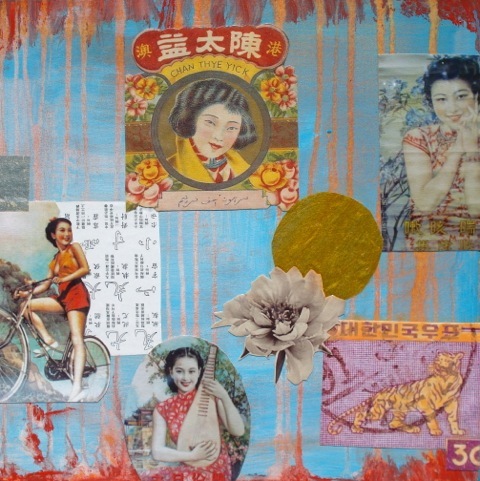 …debuting her “Fortunate Flowers” mixed media series at ZAAR Design Center this market! yet another colorful designer who JUST launched this spanky new website. …who is, for the first time, offering customers an opportunity to ORDER their own “pop of color”…as introduced in this recent newsletter. Place your order by May 5th for July delivery! Look forward to seeing you for a very colorful Market!!!! 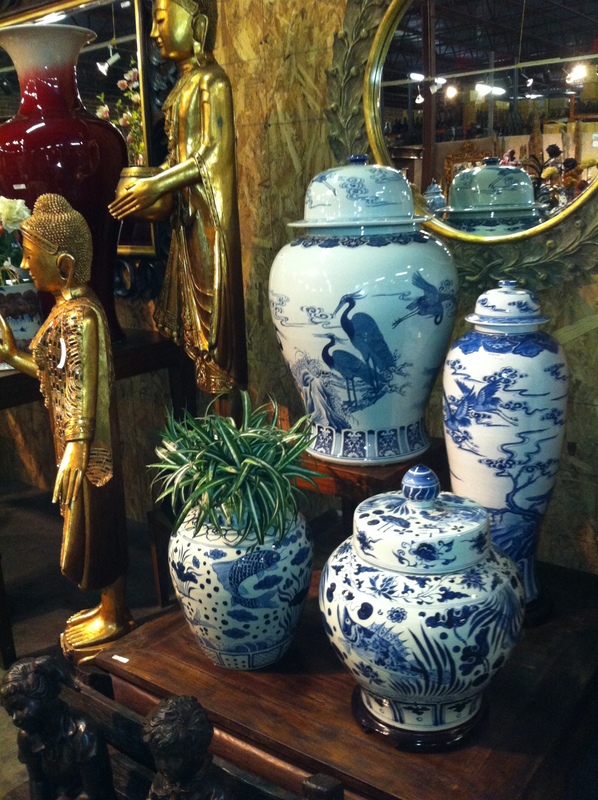 Fall 2011 High Point Market: An exhibitor’s perspective…. Yes, that is how I would, succinctly, capsulize this most recent “6 days that mattered” which to those in the home industry know such is referring to the Fall 2011 High Point Furniture Market. 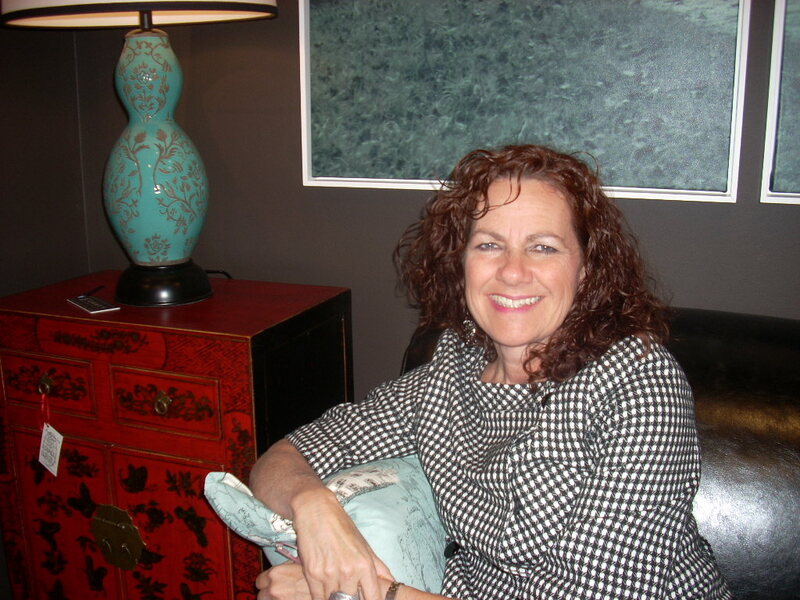 For 8 years I have participated as an exhibitor in the High Point Market, and there is no doubt that I, like all, have seen, and likewise experienced, a lot of changes over the years. And although there is a general contention that “traffic” is down, I feel safe to say that the general contention also is that the people that are coming to High Point, are a purposeful buyer and that the tone out and about is upbeat and positive. My take? Well, anyone that is at Market is still in business, and as such we have great cause to celebrate. We have sustained our businesses through an economic upheaval, which probably shouldn’t be put in past tense quite yet, that has taken a huge toll on the home furnishings industry and all associated with it. The casualty list is one that is not to be ignored and any of us could just as easily be on said list….BUT, we’re not. Everyone at Market is actively in business, each doing our part to keep it all going…and TOGETHER we continue to contribute to the well being of our economic climate by refusing to participate in the recession….this downturn which has served as a great equalizer, among many other things. But fact of the matter is that our businesses mattered, and all of us have done the things we needed to do sustain and grow… tighten the belts, skim on some of the “extras”, be creative/resourceful,collaborate, work more for less,etc etc …. to fuel ourselves on. So, bravo for us! And in keeping with the celebratory feeling I have whilst amongst all at Market, I would like to add how appreciative I am of MY ever evolving community in High Point….one in which a sense of collaboration is prevalent… to the point of humbling me as I take personal benefit from doors that continue to open ….relationships that continue to be fostered/introduced and enrich my life and ultimately my business. 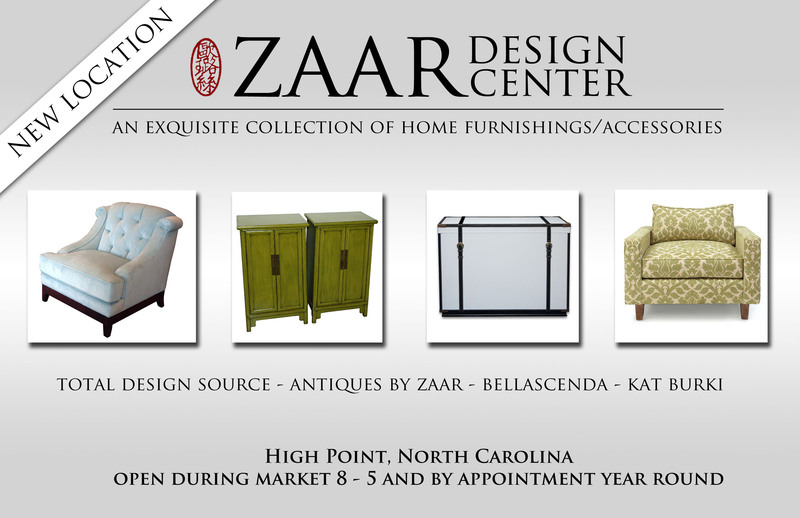 I aspire simply to honor the support and collaborations that continue to become part of ZAAR’s presence in High Point. Yes, Market Fall 2011 was all I had hoped for…. 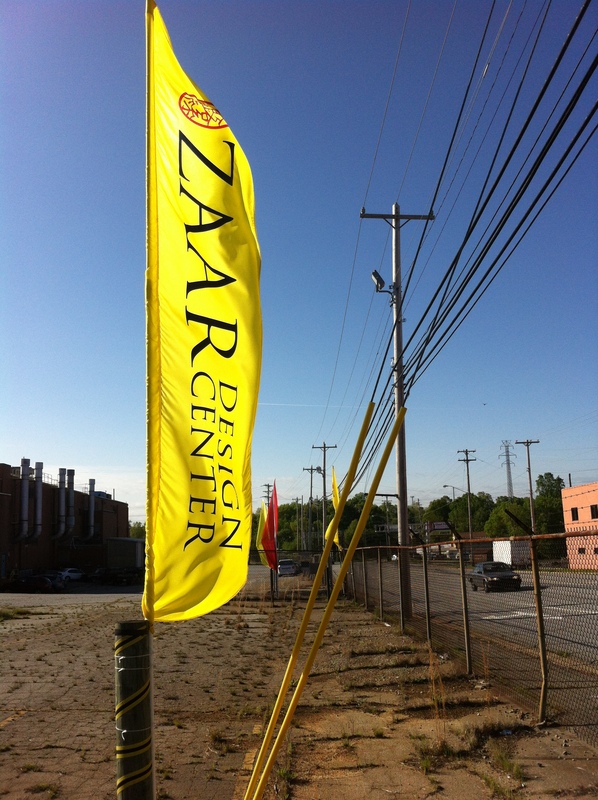 A nice contingent of customers found their way to our new, easy to locate, warehouse/showroom, also known as ZAAR Design Center, on the corner of West and Green. see photos here. As a trade partner of C.R. Laine I was beyond thrilled to hang my hat in their Interhall showroom for a good part of the week…giving me a platform to be in front of a steady ebb and flow of people , many of which I knew and which was great to re acquaint with, and many which I was able to make an initial introduction, that were drawn into their show stopper showroom. See pix here. As a member of WITHIT I reveled in the opportunity to further entrench myself in this organization, by attending the events they sponsored, namely their educational breakfast which featured Maxwell Gillingham-Ryan, founder of Apartment Therapy, and the Competitive Intelligence/Trends Forecast event. 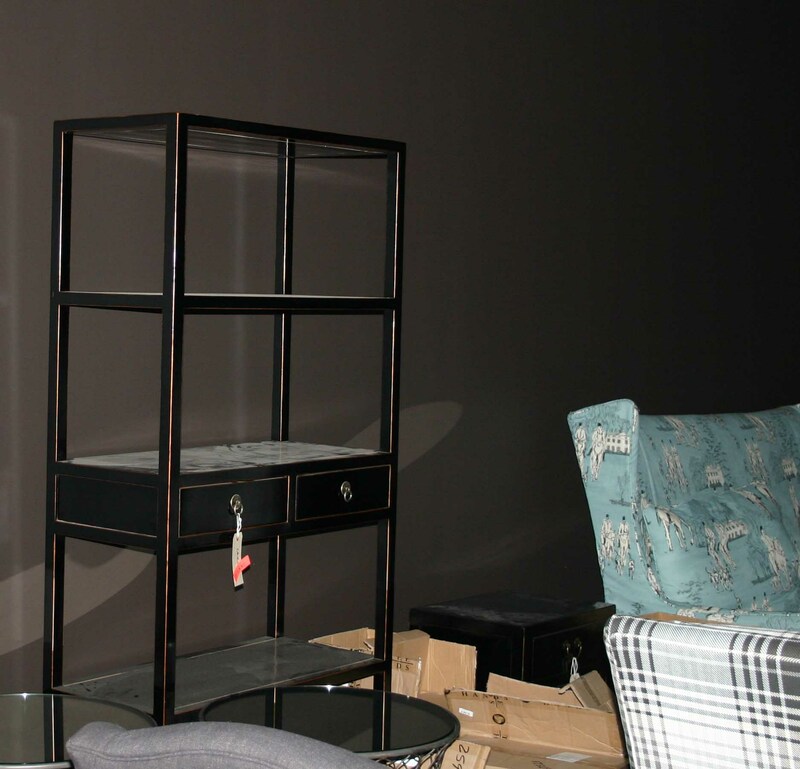 As a friend of many fellow exhibitors, I enjoyed supporting their events and “wins”…speaking in particular here of Red Egg‘s win as Showroom of the Year award…see additional photos here. And after all is said and done I know that between now and the next Market I have continued opportunities to promote, not only my business, but those that have joined me at ZAAR Design Center, as we remain open for High Point Design Centers Designer Wednesdays, and plan on active participation in the annual Unity in Design Event, held in Feb. So, yes…it is all good. Thank you to all that participated at every level to make Market a relevant experience to all. And onward! …and should you like to add a perspective to what your thoughts were on Fall 2011 Market, I’d love to hear them. Designers, Marketers, Buyers, Exhibitors…please bend my ear! 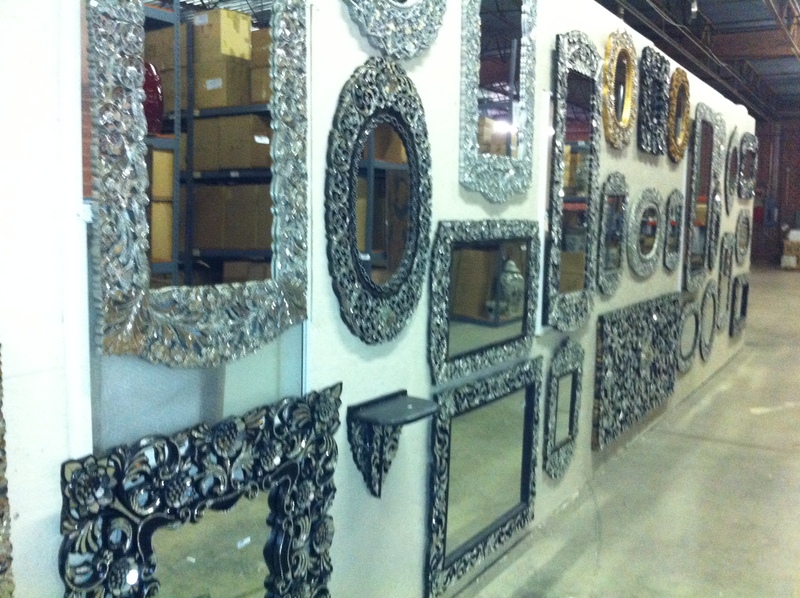 ….for the 2011 Fall Market in IHFC, Interhall IH 404! So excited about the invitation by C.R. 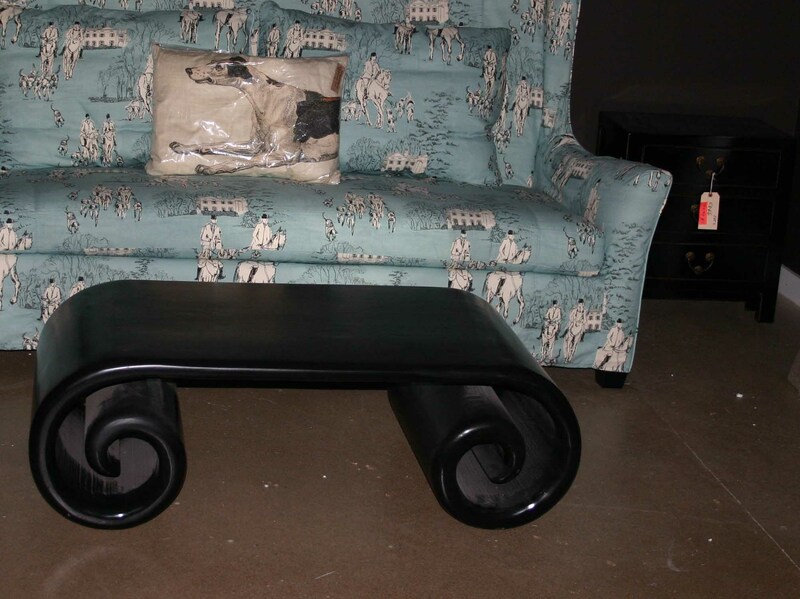 Laine for Antiques by Zaar to serve as one of their “trade partners” . Look forward to seeing/feeling the merging of beautiful product lines, the synergy of impassioned sales people presenting their respective lines, the embracing of past customers/friends and the thrill of making new connections. BEFORE the “magic” is done, this is some of what is being worked with… and yes, you can count on seeing how it all comes together to present next week…for “the next 6 days that matter“. 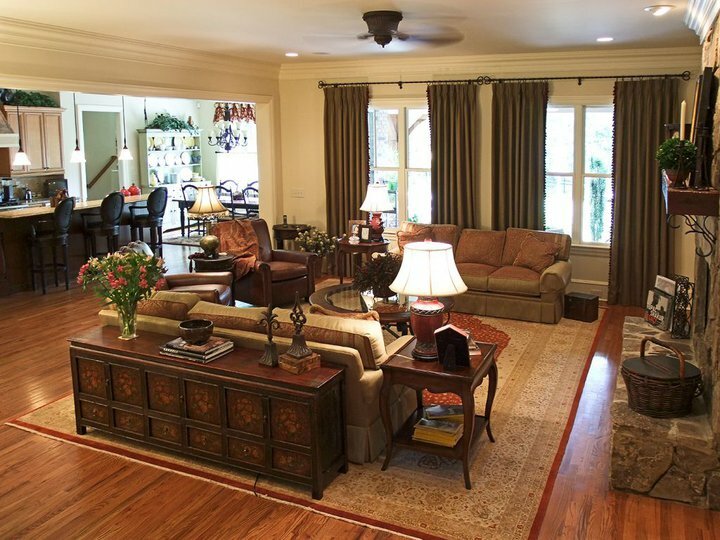 This great room features a mix of antiques, traditional pieces and some modern touches while evoking the sense of the client’s French background. 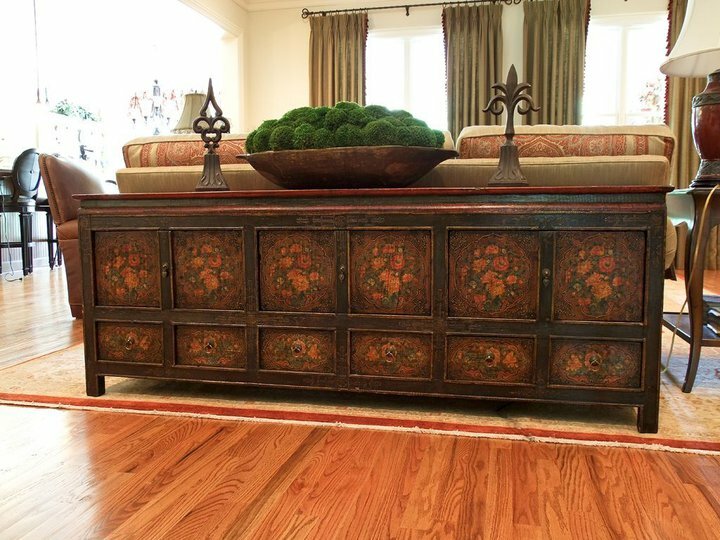 An Asian antique chest was the perfect height for a sofa table for this rather low sofa. Thank you Antiques by Zaar! They say ” a picture is worth a thousand words”…. 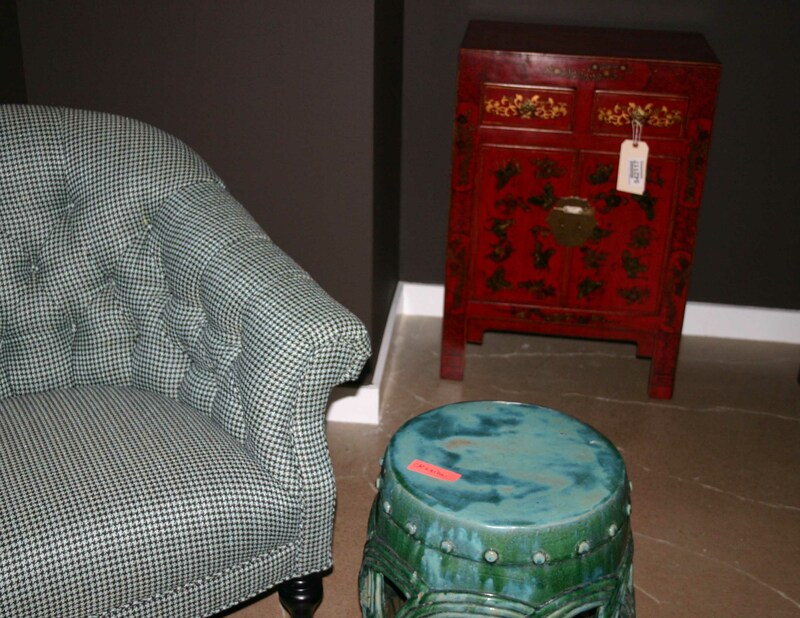 Thank YOU Jane Ann for sharing these photos of your beautifully appointed room, and for your acknowledgment to Antiques by Zaar for that little touch from Asia that you knew would serve well in this room. So glad we had what you were seeking. 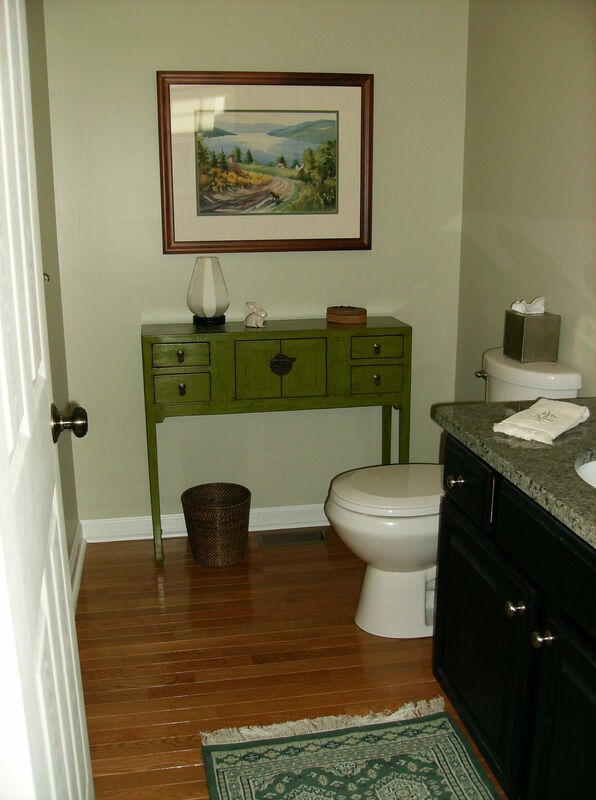 Find Maxwell House of Design, on facebook, twitter and also read her blog. Enjoy her energy,warmth and obvious sense of style. P.S. 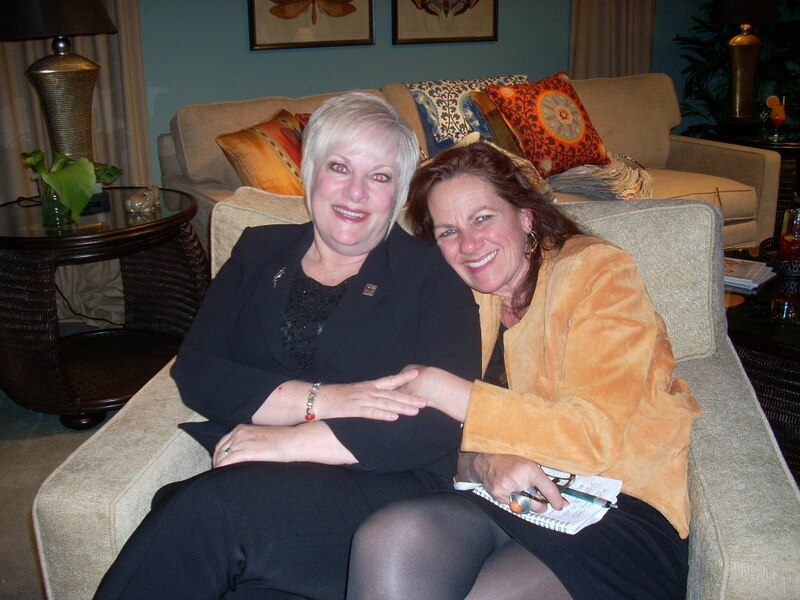 BTW, the initial connection between Jane Ann and myself was made via Facebook…after which she ventured to visit us at the High Point Furniture Market, rather quickly picking out the above piece which her client readily approved as perfect.